I knew this pap since when i was small, my grandmother normally makes it and today i bring forth this recipe so we all learn from each other. 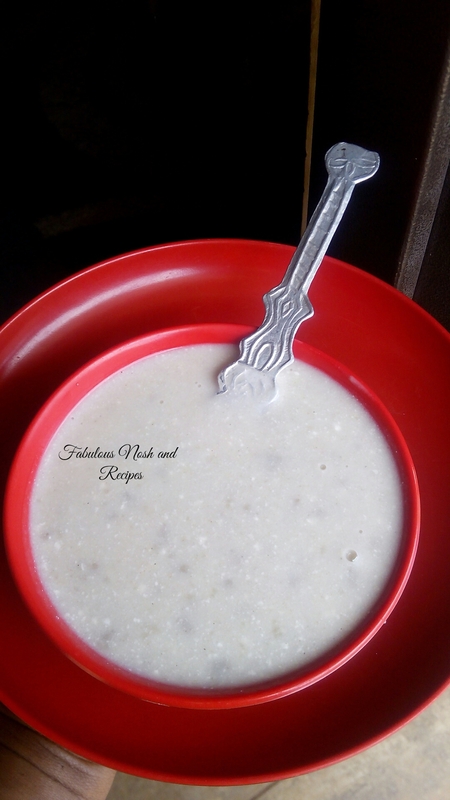 Let’s explore with the fulanis today, if you know this drink, even had it before or have any name for it apart from Bururu let’s hear you. – millet powder (dawa) already prepared with dry ginger and cloves. -In a pot add water and bring to boil. -pour the millet powder into a bowl, sprinkle cold water on the millet powder and shake the bowl vigorously untill it clumps, add just lumps with ur hands into smaller clumps, shake well. -now pour hot water into the lumps of millet and stir with a wooden spoon so it doesn’t stick. -keep stiring until it running. -stir untill it’s half way cold, (the paste should be cold averagely). -when you are sure it’s warm and not hot, add cow milk and keep stiring. – stir and add sugar enjoy. I used 500g of millet powder. And quarter of small rubber paint of cow milk.